Second Life features many active sporting and hobby communities and social groups, as well as sporting events and recreational activities. Turlaccor is a custom bike and motorcycle megastore. Whatever you need for your grid-based motorcycle needs, Turlaccor has it. The Aero Golf Club is an 18-hole golf course designed to provide a beautiful landscape and experience. The course was created to be fun for the novice yet challenging for the seasoned player. A clubhouse also provides an intimate venue for socializing, dancing and meeting other golfers. Come on by and swing away! The Lost City Golf and Country Club on the Eden Naturist Estate provides Eden residents and visiting players with a top quality golfing experience using the Elite Golf System in an 18 hole full region course beautifully landscaped to a tropical theme. A well-equipped Club House provides a fabulous 19th hole environment for relaxation and socializing. Sweetest Deviation sells a wide range of timing gate systems for circular or non-circular racing tracks, courses and a HUD for vehicle drivers. 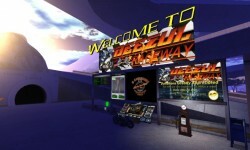 Create the best driving experience in Second Life, at the Sweetest Deviation. 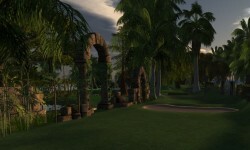 Come visit the Whispers Golf Club (WGC) and explore the wonderful world of golf on one of SL's best courses. This friendly environment welcomes newcomers and is also located close to shopping, dancing, dining,and games. 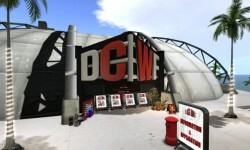 Digital Championship Wrestling Federation is the the longest-running and best professional wrestling promotions in Second Life. It has two weekly live shows, Wednesdays at 3pm and Saturdays at Noon. There's also a PPV event every other month, free crowd gestures, even a NexGen Central packed full of many items. Come down and watch great live pro wrestling action! DCWF: champions made here. 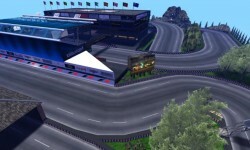 This new riding experience in SL features 12 different race tracks and a sim rally track that can make every motorcycle rider's dream come true. 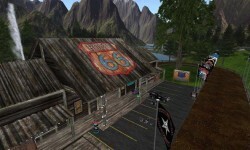 StarRider's Bike riding sim for the world of bikers, with rides reaching all the way up to the 2830 mark that includes the old retro sights of Route 66. Come see drive ins, diners, hot springs all overlooking an amazing canyon. Come take a vacation in a sim, ride down the mother road. Welcome to Viala Driving & Living! Explore and discover all the different roads, places and activities in the region. The jungle is only the beginning. All the areas are connected by roads and can be reached by vehicles or on foot! 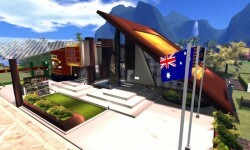 A teleport board for easy access to some of the places is located at Vialas HUB. Visit this 1970s roller derby arena that has is also a club where you can skate, dance and hangout.